Are you thinking or planning on visiting Nha Trang while in Vietnam? Well, Nha Trang is a great spot to visit that offers a wide variety of things to do and places to checkout. Checkout our travel tips to Vietnam and out travel guide before going. Nha Trang has grown into one of the top destinations in Vietnam that you should not miss. What to do in Nha Trang Vietnam? 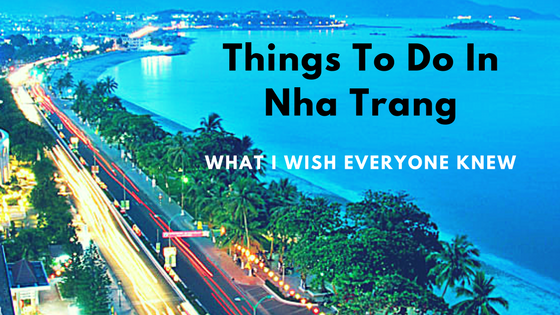 Well, here is our list of a few fun things to do in Nha Trang during your visit. Maybe, before you explore the landmarks in Nha Trang, you can explore the city by walking around the city, you never know what you will find. Depending on where you hotel is located, you can always rent a taxi to see the surrounding area of Nha Trang city. Next on our list of things to do in Nha Trang is to visit the Long Son Pagoda. 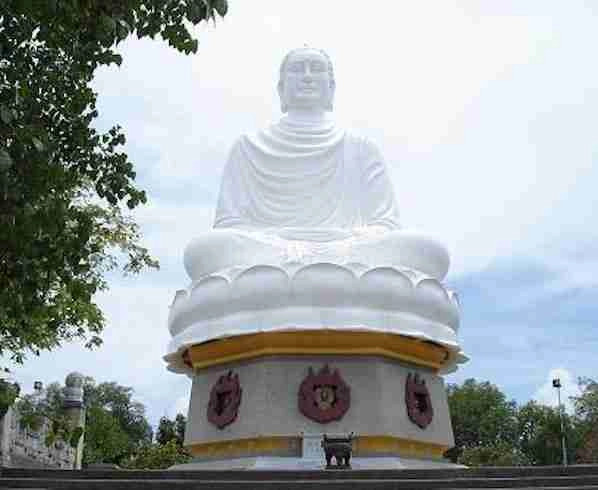 You can go to Long Son Pagoda area by taxi to see a huge Buddhist statue in the peak of Long Son Pagoda. Since it is located on high ground, so you can see the city of Nha Trang from the hill. It is a wonderful Pagoda with such beautiful scenery that will not make you feel bored when you get there. Don’t forget to take some pictures and share on social media with your friends anyway. After you go up to Long Son Pagoda, then you can go back down to visit National Oceanographic museum to see a wide variety of sea species. You can also see a whale fossil that still looks complete that was found near the Nha Trang sea. Certainly, this can be an educative visit in which you can bring your kids to see the museum. It is undeniable that Nha Trang is really popular for its beaches. 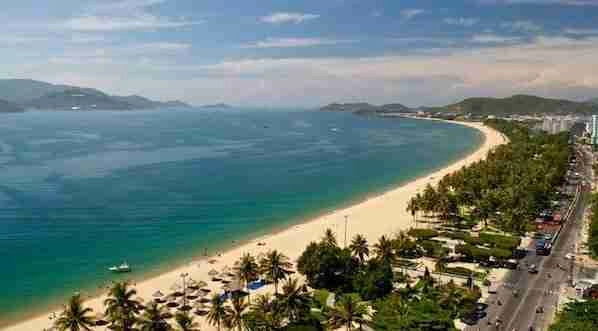 Nha Trang Beach properly is the popular landmark to visit. You can get to the beach after visiting National Oceanographic Museum in the afternoon. You can walk along the coastline and you can find Thap Tram Huong Building which is really amazing for a photo background. It is a huge building that resembles a flower and makes the place look awesome. Vin Pearl is next on our list of things to do in Nha Trang. Vin Pearl is a small island that offers a lot of beautiful landmarks. You can go to this island by a cable car that belongs to the longest cable car in the world according to Guinness World Record. What can you find in this Vin Pearl Island? Maybe, you can go to the biggest theme park in Nha Trang for a family holiday. You can bring your kids to get to this landmark and enjoy the holiday together. 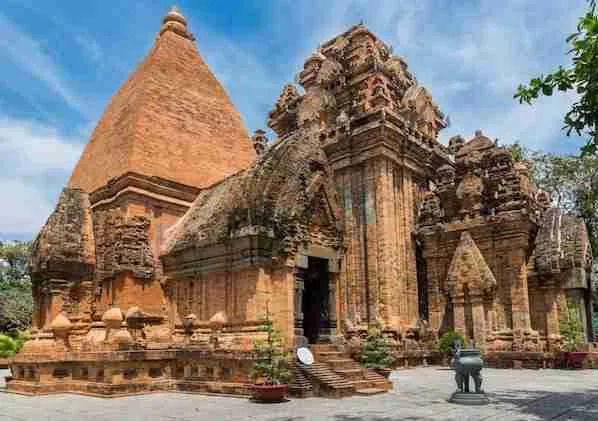 Ponagar Charm Tower is actually an old temple that is no longer used and it is now becoming a popular tourist destination in Nha Trang. It is the legacy of Champa kingdom and it still looks sturdy and complete. The temple is dominated with a blind red accent. Though the temple is not huge, the landmark is still worth visit given to take some pictures for a memento. If you feel its time to relax after the day with family and friends after exploring Nha Trang, then you can go to Thap Ba Spa that has become the biggest spa center in Nha Trang which is worth a visit. It is a family spa where you can soak in a huge tub with others. This spa center has a lot of visitors every day. Some tourists even go to this place when they are tired and want to relax. One of the popular things to do in Nha Trang, is that you must not miss is mud bathing. 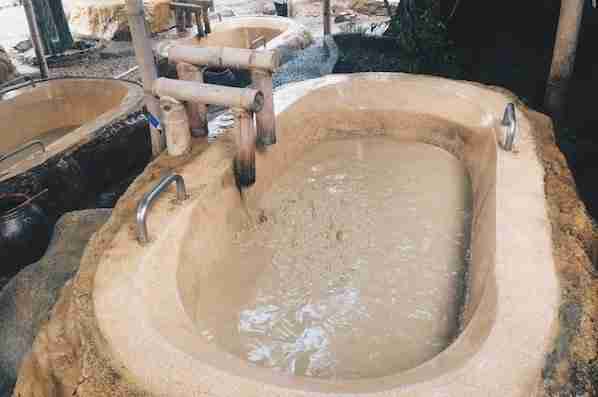 According to the local people, mud bathing can make your skin soft. If you really want to try the mud baths, then you can ask your hotel that may offer a special mud bathing package in Nha Trang. You can also visit some Mud bathing centers in Nha Trang or just ask the local people where the best place is. Dam Market maybe not the only market that is available in Nha Trang but it is enough if you want to buy some items, foods and souvenirs there. So, if you want to buy some traditional foods or local meals in Nha Trang, then you can find so many traditional foods in this market. Nha Trang has loads of guest houses, hostels and hotels. Here are a few places to check out if you are planning to visit Nha Trang Vietnam. This property is 5 minutes walk from the beach. Trang. It features an outdoor pool and a fitness centre. Free WiFi is available throughout the property. Air-conditioned rooms feature a private balcony that opens up to views and are fitted with a flat-screen TV with satellite channels. Every room has a private bathroom fitted with a bidet. Located in the center of Nha Trang, Manta Hotel offers an accommodation featuring free WiFiEvery room at this inn is air-conditioned and has a TV with cable channels while some rooms comes with a kitchen. The rooms are equipped with a private bathroom. Plus, there is a 24-hour front desk at the property. Aaron Hotel offers seafront accommodation a 1-minute walk from Sailing Center Vietnam and provides facilities like an outdoor swimming pool, a fitness centre and a terrace. Free WiFi is available. All rooms in the hotel are fitted with a kettle. All rooms have a private bathroom with a bath, while some rooms also boast sea views. Guest rooms in Aaron Hotel are equipped with a flat-screen TV and free toiletries. Finally, once you visit Nha Trang, you will have plenty of options to visit, explore, discover and with many more things to do in Nha Trang. Perhaps, you can explore in your own way when you get there. All you have to do is to choose the activities you prefer and start enjoying what Nha Trang has to offer. And that’s it for now! 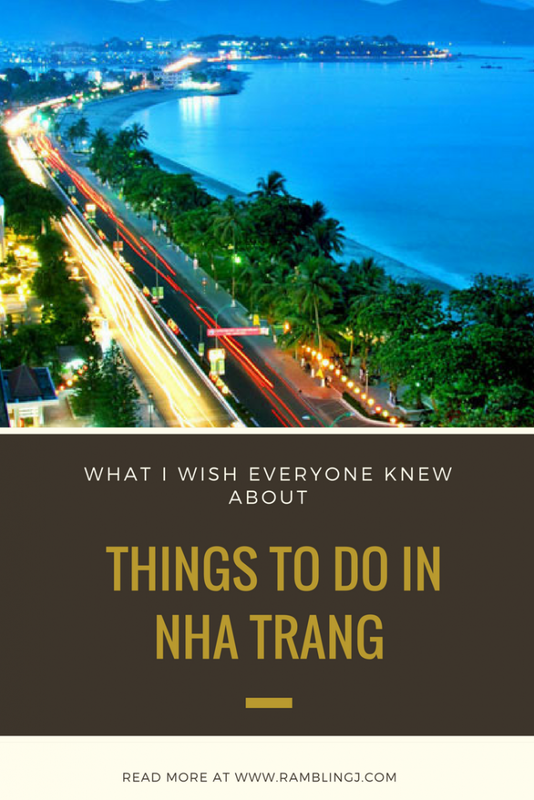 I’d love to know if this guide on the things to do in Nha Trang has helped you. Let me know if you have any questions and let me know if you go too.